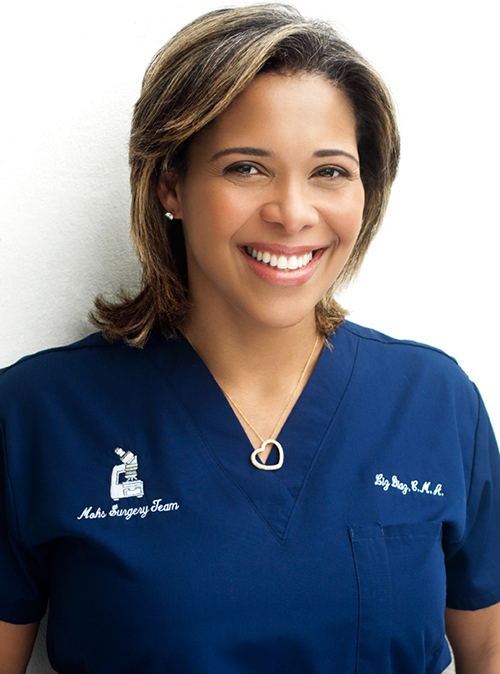 Meet the staff of Miami dermatologist and skin cancer specialist Dr. Alysa Herman. A fellowship-trained Mohs surgeon who is a member of the American College of Mohs Surgery (ACMS), Dr. Herman has chosen and trained her staff to adhere to the highest level of quality and care. Request a consultation online today, or call (305) 444-4979 to schedule your appointment with Dr. Alysa Herman. Liz was born in Havana, Cuba. She received her training from Bauder College, graduating as a certified medical assistant in 1993. She has worked with Dr. Alysa Herman, since March 2005. She assists Dr. Herman with the patients, setting up for biopsies, anesthetizing, surgical procedures, and suture removals and provides post-operative care. She also helps in scheduling appointments and verifies insurance. Liz enjoys working with Dr. Alysa Herman. She believes that they provide their patients the best in patient and surgery care. Floyd received his bachelor’s degree in biology from the University of New Orleans in 1997 and went on to receive his histology training in Chicago, Illinois with Pathology Associates International. He became board-certified as a histology technician with the American Society for Clinical Pathology in June 1999 and has been a member of the National Society for Histotechnology since 2001. 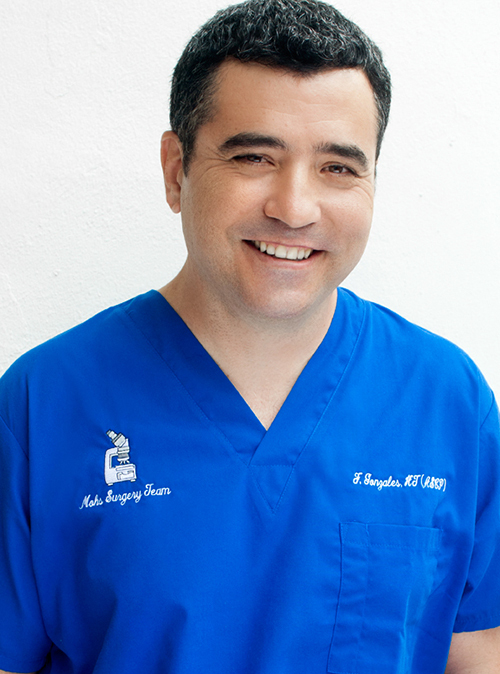 He has been a Florida licensed Clinical Laboratory Technician/Histology Technician since 2005. Floyd has worked in all areas of histopathology, but especially enjoys dermatopathology and Mohs histology. Floyd is responsible for all processing of Mohs surgical specimens and prepares pathology slides for Dr. Herman for diagnosis and evaluation during the Mohs surgical process. He is also responsible for all day-to-day laboratory functions including administrative duties involving developing laboratory procedures and protocols and following federal and state guidelines and regulations. When he is not working, Floyd enjoys outdoor activities including running, biking, hiking and traveling. Kelly was born and raised in Miami, Florida. She received 2 bachelor’s degrees from Florida State University in exercise science and dietetics. After graduating, she became a certified nurse assistant at Tallahassee Memorial Hospital in Neurology/Neuro‐ICU. Kelly then became a medical assistant at Dermatology Associates of Tallahassee, where she worked for two years before moving back to Miami and joining Dr. Herman and her team in 2011. 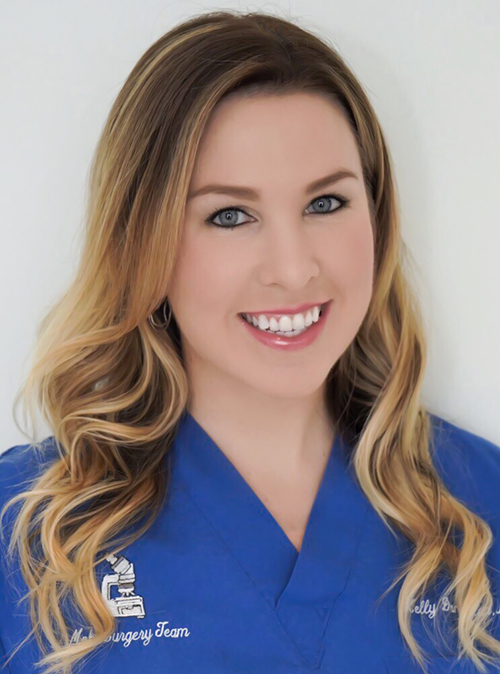 After three years of working closely with Dr. Herman as her medical assistant, Kelly left briefly to obtain her masters degree in physician assistant studies at South University‐Tampa and rejoined the team as a certified physician assistant. As a PA‐C on Dr. Herman’s staff, Kelly takes pride in making patients feel comfortable and feel at ease while providing direct focused care. Kelly is passionate about the field of dermatology, especially skin cancer education, prevention and treatment, and she works hard to deliver optimum care and a personable experience. Cecilia Albornoz was born in New Jersey. Cecilia has always had a passion for skin care and received her Associates of Science Degree with a concentration in Natural Health from Florida College of Natural Health in 2004. Cecilia has over twelve years experience as a medical aesthetician. Since working with Dr. Herman, she has gained the skills and knowledge to work with patients in coordinating their surgeries and shares her knowledge of Mohs surgery to help new patients understand and feel comfortable with the Mohs procedure. She is happy to be a part of a team that works hard to help each patient have a wonderful experience with every visit. Krystal Ann Diaz was born and raised in Miami, Florida. She has received her Advanced Registered Nurse Practitioner degree and currently specializes in the field of Dermatology and skin cancer surgery. 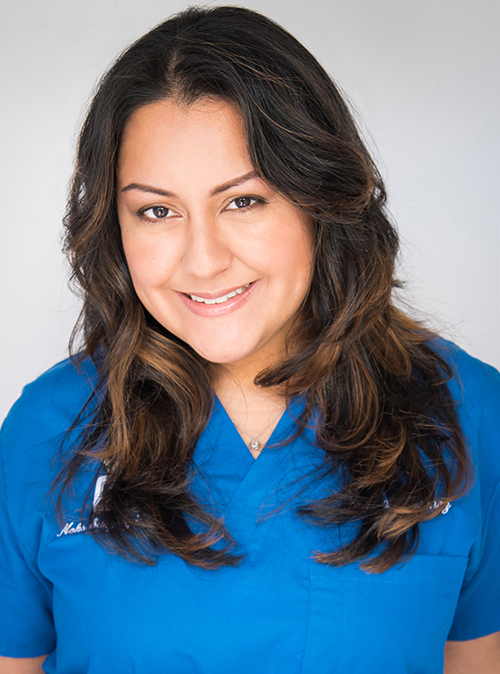 She gained her bachelors in nursing science at Barry University as well as her master’s degree in Family nursing practice. 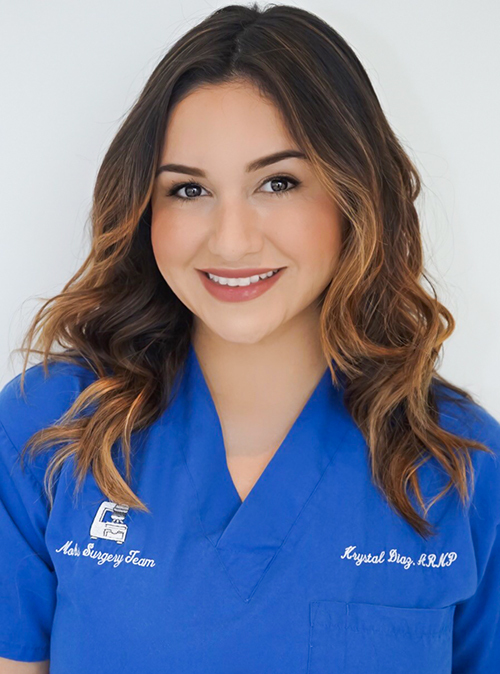 Krystal has worked in the field of dermatology and skin cancer for 8 years as both a registered nurse and now as a nurse practitioner providing patient centered care by assisting and working collaboratively with Dr. Alysa Herman. She believes that providing the best care to every patient is key and dedicates her profession to the prevention and treatment of skin cancer. Karen was born in Honduras and raised in Miami. She went to Miami Killian Senior High and graduated in 2004. Karen assists patients with scheduling their appointments, verifying and explaining their insurance coverage and benefits and addressing patients questions and concerns about the Mohs procedure. 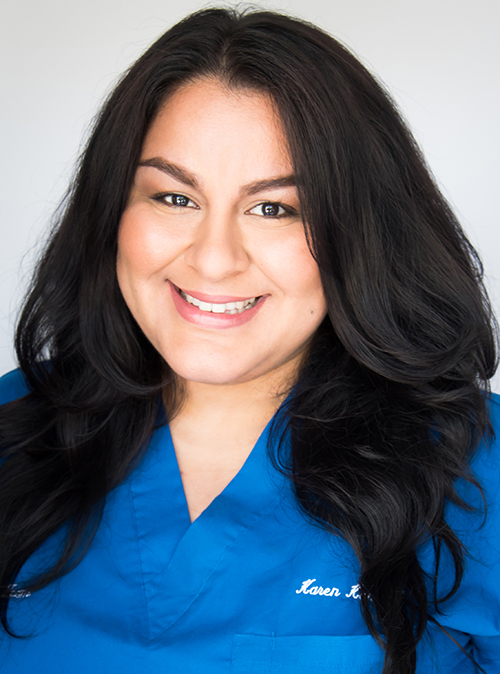 She enjoys working with Dr.Alysa Herman who provides the best care for her patients and atmosphere for the best team. She takes great pride in attending patients and making their visit an easy and comfortable experience.